Excited to be at ThinkerCon 2018, a gathering of cool folks who are making awesome things online. I'm surrounded by scientists, tinkerers, artists, and media influencers. 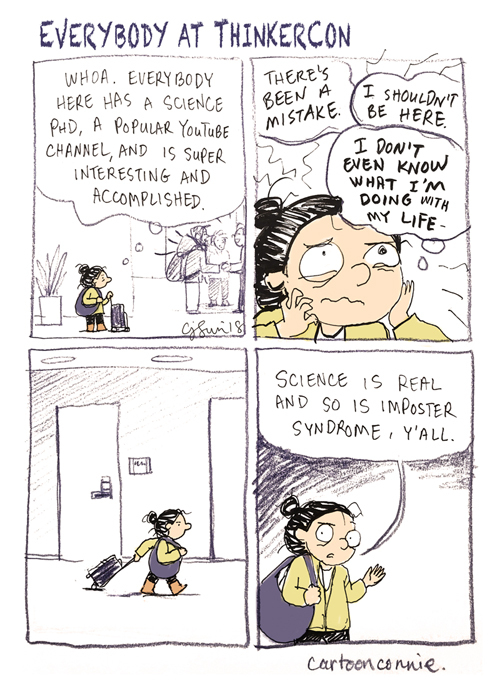 Science is real and so is imposter syndrome.